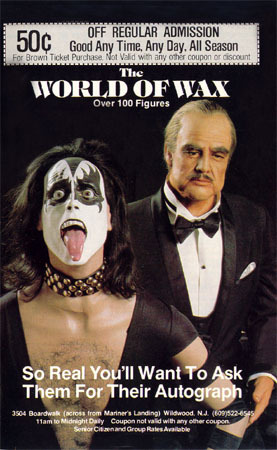 It was the late 1970's when the World of Wax first opened its doors. A local contractor by the name of James Beasley - who had previously built many boardwalk structures - recently finished work on the Castle Dracula - which was developed by creative local ride designer Freddie Mahana and owned by the Nickels family. Mr. Beasley decided to lease a section of Marine Pier West from the Nickels to open the wax museum. He called upon his friend Freddie Mahana to design the layout of the attraction. 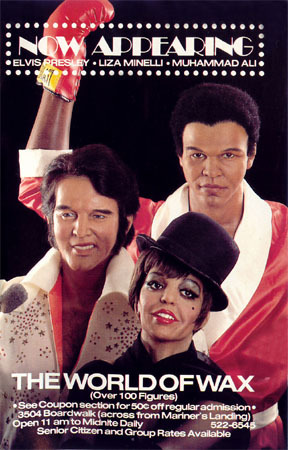 Beasley Carpenters had previously worked on many amusement related projects with Freddie including a New Orleans style wax museum in Ocean City Maryland. 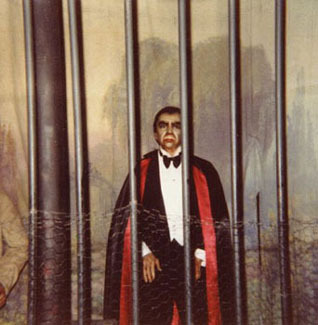 The World of Wax (also known as the Hollywood Wax Museum ) would occupy the space that had previously housed the old Rhoads Carousel as it had recently been dismantled and removed. 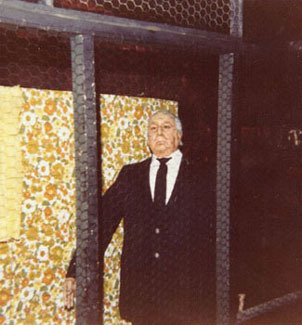 Freddie - adding his flair to the design of the museum - set it up like a walk-thru show - with each set designed to have audio to accompany the wax figures. A large stage area was also constructed for some of the figures including Liberace at his Grand piano. There was a wide variety of characters - from John Wayne...to Planet of the Apes...to Kiss. 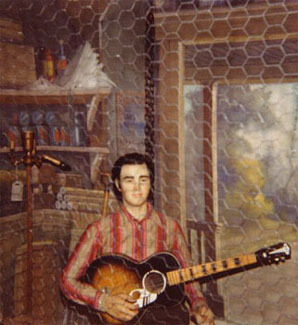 Many of these figures had come from a defunct wax museum in Las Vegas. 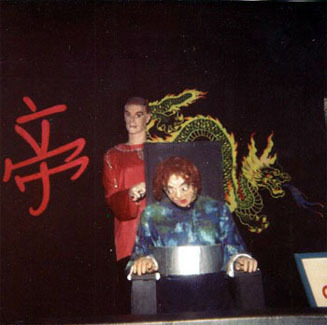 The attraction had approximately 70 different figures (althought some of the ads claimed over 100 ) at a cost somewhere in the range of $3000 a piece. Mr.Beasley along with his two sons ran the museum for about 4 or 5 years before parting ways with Nickels Pier. 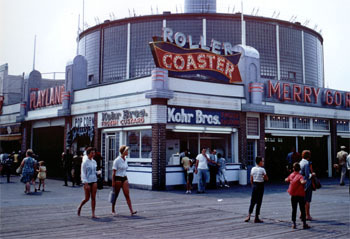 Nickels continued to operate the attraction for another year or two. 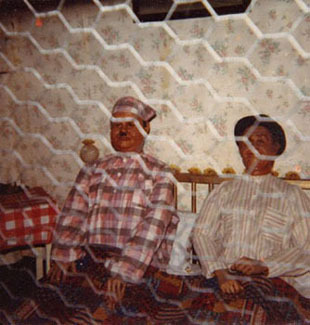 Unfortunately the museum was not climate controlled and over the harsh winters and the heat of summer the wax figures actually began to crack and melt. It was not long after that the museum would close its doors and disappear into Wildwood Boardwalk history. Shown above are some ads from local publications in 1983. 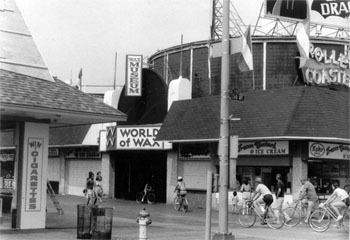 The Rhoads building and Playland entrance as it appeared before and after the Wax Museum. The following interior shots were submitted by John Brennan of Laurel and Hardy Central. Thanks John! This is a fine mess you've gotten us into Stanley. 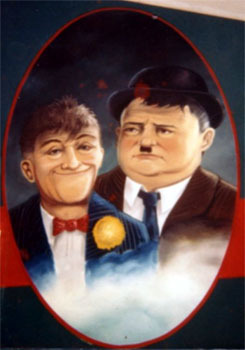 Laurel and Hardy (above left) was one of several paintings on the marquee as you enter the World of Wax. The Torture Room is shown above right. The photos above were taken by John B. in 1981.